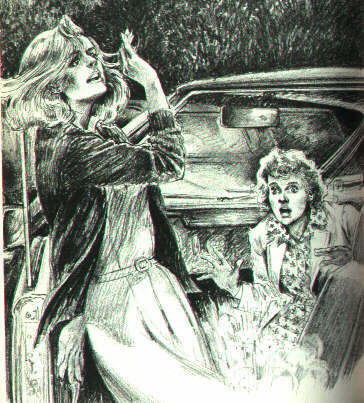 Talk about a mysterious image...The REAL mystery here is why Trixie Belden is in a Nancy Drew book!! (#74 The Mysterious Image) Looks to me like Nancy and Trixie mysteriously *poofed* into the same scene together!!! !